Twenty years ago, the early chapters of the Ryan Leaf story were still being written. At the time it appeared, when the story was complete, it would be one of triumph and greatness. When Leaf won Best Athlete in 1998, on the heels of a wildly successful final season as quarterback for the Washington State Cougars, the Inlander was smitten, as was everyone else. "Take your team to the Rose Bowl and you'll become the patron saint of the Inland Northwest. 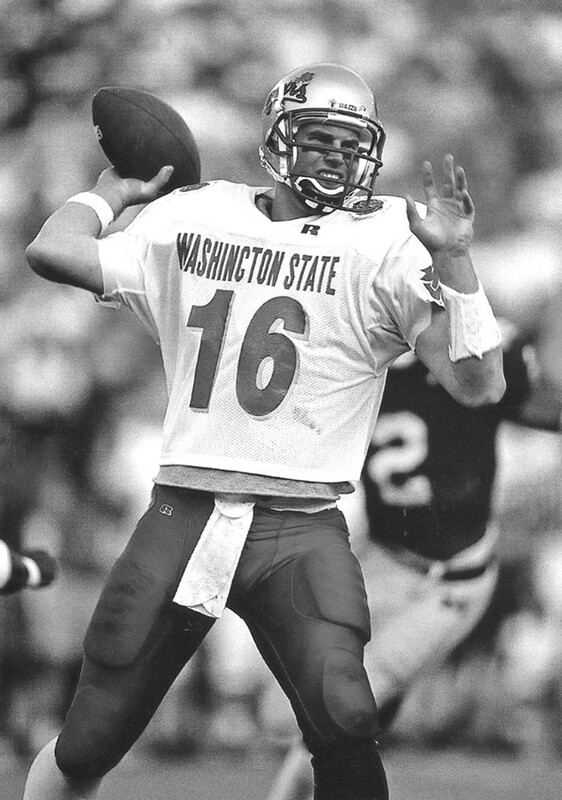 Ryan Leaf found that out this year, when the Cougars went to the Rose Bowl for the first time in more than 60 years. Leaf enjoys popularity among both young and old, men and women... In fact, about the only people who don't like him are UW Husky fans. We predict great things from this guy in the pros." Our patron saint did start down the path to greatness as the second overall pick in the 1998 NFL Draft, but that was about the only thing that classifies as a great thing in his pro career. From there, the Ryan Leaf story quickly transformed into an unpleasantly public fall from grace. Leaf appeared in just 25 NFL games and had completely flamed out just four seasons after being drafted. Like many former athletes, Leaf turned to coaching. But an addiction to painkillers derailed his second career faster than his erratic behavior had sent him spiraling out of the NFL. In April 2012 Leaf was arrested in Montana for burglary, again relating to painkillers, and would spend 32 months in prison. It seemed like a sad end to the story about a quarterback from Great Falls. But now it is Leaf himself who is writing the final chapters of this story, now featuring a protagonist on the road to redemption. Leaf, now sober, has become a husband, father and advocate since his release from prison in 2014. He works as an ambassador for Transcend Recovery Community, a sober living community active in Los Angeles, New York and Houston. And he's still making time for the game that brought these highs and lows into his life. Earlier this month, the former Pac-12 Player of the Year began hosting Pac-12 This Morning on SiriusXM channel 373. Leaf's back in the public eye, on his terms this time.